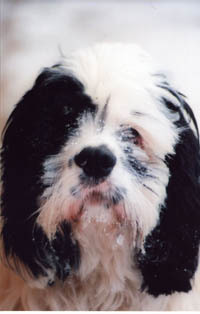 We first met her when she was barely more than a pup, living at a remote mountain lodge near Leavenworth, Washington. She immediately became a member of our family. Originally called Mud Puddles because her coloration looked like, well, a muddy puddle, the owners of the lodge had renamed her Miss Maud Puddles… “Far more suitable for such a lovely girl!” Cooper says. In winter’s snow and summer’s heat, she showed us the way on mountain trails. Maudi was the best, the bravest, the kindest, the strongest… words fail to adequately describe all that she was, and all that she meant to us. Maudi was our Catahoula Leopard Dog, supreme.